Chuck is a level 3 NCCP coach and has been coaching professionally since retiring from swimming in 1988. In his 25 years of professional coaching, Chuck was the age group coach for the Pointe Claire Swim Club for 2 years before taking on the Head Age Group Coach role with Etobicoke Swimming in 1990. He was named the Head Coach of Etobicoke in 1997 before taking on the General Manager and Marketing Director positions for ESWIM in 1999. After retiring from coaching in 2001, Chuck came back to coach for 4 years with the Region of Waterloo Swim Club in 2004. In 2008, Chuck founded Club Warriors. He continue as Head Coach of CW until 2014 when he retired for a 2nd time. Chuck led Club Warriors to the Ontario Small Team High Point Award at the Long Course Provincial Championships. He also led CW to the DIV 2 Team Championship Banner in 2012. 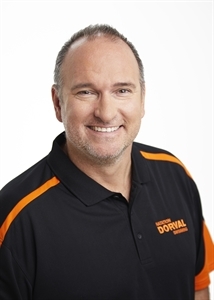 Chuck has now taken on the challenge of leading the Dorval Swim Club. Chuck has 4 daughters who all have swam or currently swim competitively in Ontario. 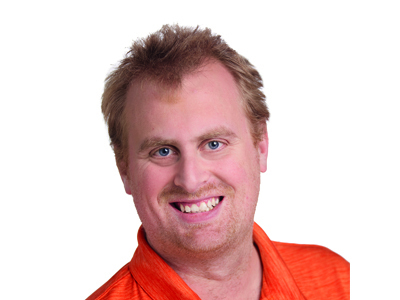 Chuck is the President and CEO of ORANGEBLACK Software, a software development firm located in Waterloo, Ontario. ORANGEBLACK has close ties to the Swimming community, having developed systems for Swimming Canada and the Canadian Swim Coaches Association as well as developed Streamline Sport, a sport club management system. Louis Papineau has been been coaching for the last 17 years. He spent 16 fulfilling years coaching for the Beaconsfield Bluefins. He was the head coach from 2011-2016. He helped create programs that produce numerous provincial and national champions. His biggest asset is the way he can coach any swimmer to achieve their goal. Louis' knowledge of the sport and the ability to teach every individual swimmer is remarkable. 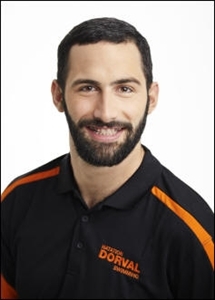 He is a trained level 3 coach who has made a significant impact in the swimming world in the past 15 years. Louis has also coached various provincial teams and the Junior National team. 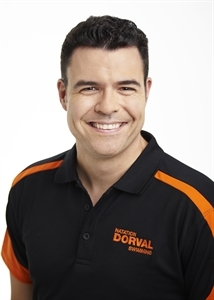 He is looking forward to help create an environment of champions for the Dorval Swim Club. Iain has more than 30 years of experience in competitive swimming. He brings with him an incredible passion for the sport that started when he was 10 years old, and has taken him through competition and coaching at various levels of the sport over the last 3 decades. Having swam at several clubs over the course of his swimming career, Iain brings with him a valued perspective and philosophy on not only training and performance, but also the importance of team building and fostering a sense of community, both of which are critical to achieving a love of the sport and success in the pool. Most recently Iain managed the DSC Masters Swim team, delivering a complete redesign of the program, helping to drive the team to new levels of achievement including participation in swim meets for the first time in the club's recent history. Having been a swimmer at DSC in the 1990s, Iain could not be happier to be coaching at the club he has always considered to be "Home". Brandon has always had a great passion for the sport of swimming, starting at an early age in the summer pool system. Having only started competitive swimming at the age of 14, he quickly became a force having won multiple provincial championships and acquired his Senior National standard by the age of 16. He was also part of the National Record relay for 15-16 year old. In 2015, Brandon became the National Champion in the 50 Fly. Brandon is an established leader having coached for the Bluefins under then Head Coach Louis Papineau. He is a motivator and has a way of getting the best out of his swimmers. Brandon has also been the co-owner of a private swimming lessons business since 2015. He will provide his swimmers with challenging work that is both enjoyable and rewarding. Hello everyone, my name is Steph and I am 22 years old. Currently, I am in my last year of my bachelor's degree in Therapeutic Recreation at Concordia University. I am very passionate about health and fitness and strongly believe in the benefits of regular physical activity on the mind and body. I began swimming competitively for the Beaconsfield Bluefins at the age of 14 and continued on to be team captain for the John Abbott swim team. Since then, I now swim for leisure and enjoy working out at the gym and participating in various leisure activities. I have worked at various pools both teaching and coaching. I loved each experience and I cannot wait to return on deck to share the sport that I love! Heather has swum and coached at all levels of the sport. She started swimming at a very small club in Montreal West, moving to Pointe-Claire Swim Club and eventually finishing her swimming career at CAMO. She swam for John Abbott in Cegep and swam Masters at Université de Montreal, DDO, and CAMO, before moving to Bermuda in 1994 where she coached all levels of the sport. Upon her return to Montreal in 2010 she swam and coached Masters at Pointe-Claire. 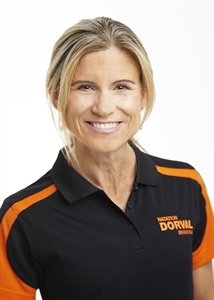 She has been coaching the 8& Under Age Group at Dorval Swim Club since 2015. Between swimming and coaching she has 40 years of experience. 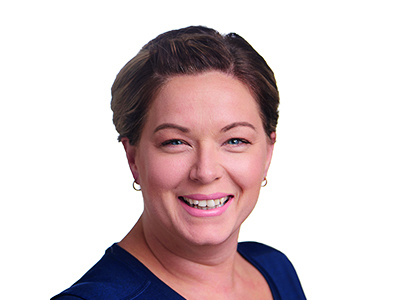 Heather likes to inject fun into every session; "it is one of the things I love about being a coach, my swimmers come in sometimes tired and unmotivated and they always leave feeling better, hopefully having improved and learned something new. I feel it is crucial to connect with the swimmers I coach as that is the key to getting them to reach their full potential." 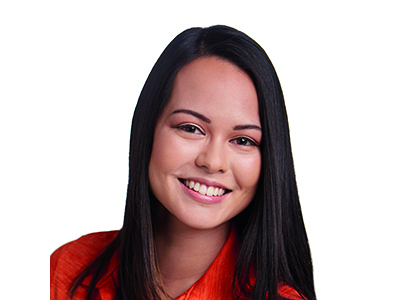 Corrine first found her love and passion for swimming at the age of three. Over the years, she swam for several clubs including DSC. Throughout the years, Corrine has had the opportunity to coach young swimmers. She has helped many learn and perfect techniques and strokes. Corrine returns to the pool via the same passion for swimming through her children. Excited to dive in again and assist others to grow and enjoy the sport as much as she has throughout her life. When she is not in the water, Corrine is a mother of two and works as a Human Resources Director for a Montreal based Aerospace Company. 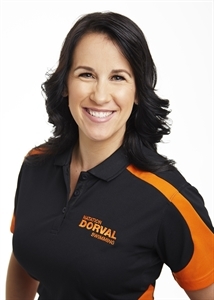 Cassandra has experience working with and coaching children through teaching lessons and coaching for the City of Dorval, and the DSC Sharks Program. After years of swimming, she is eager to work with swimmers and share her passion for the sport. Melanie started swimming competitively at a very young age right here with the Dorval Swim Club. Lifeguarding and coaching the 8 and under team at age 16 for Lachine Dixie pool for several years. She has spent the last 18 years as a flight attendant, flying around the world. But her passion for health and fitness needed to flourish and so after having her 2 boys she created her own health and wellness business. She expanded her business as a group fitness instructor, personal trainer and currently studying to be a holistic nutrition specialist. Wanting to return to her roots Melanie has the fantastic opportunity to dive in and coach swimming once again. 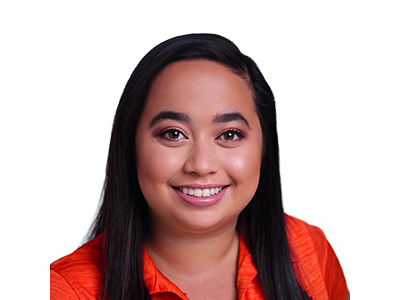 She is very dedicated and passionate to coach the Sharks team and looks forward to seeing young swimmers thrive in this wonderful aquatic sport.